Stewarding opportunity at BCVA (British Cattle Veterinary Association) Congress 2019 in Southport. DEADLINE FOR APPLICATIONS IS THE 3RD OF MAY. 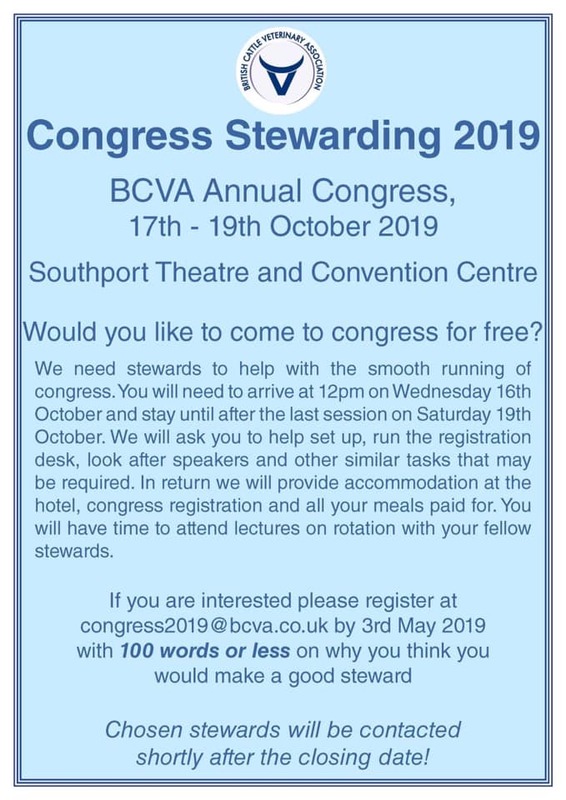 If you are interested in being a steward you need to email congress2019@bcva.co.uk by 3rd of May with 100 words or less describing why you think you would make a good steward!